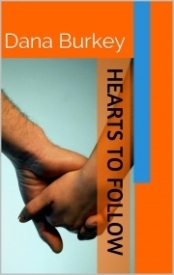 The Hearts to Follow Series is made up of three YA contemporary romance novellas! JUST PRETENDING:When Nick comes back into Cam's life she is crushed to see his new girlfriend Gina is with him for the summer. Hoping jealousy will win Nick back, Cam convinces Josh to help her play the role of happy couple. Will their plan win Cam her dream guy, or will her dreams change the more they lie? CHANGED? :Summer has known Nick for years. His reputation around school is less than desirable, but when school starts something is different. Nick is no longer with cheerleader Gina, but despite the rumor he cheated on her Summer is finding herself falling for his charm. Is he really different, or he is still the same guy from the rumors of partying and failing classes? STAGE LIGHTS:Tessa has always been confident both on stage and off. However, this summer she lands a roles as Juliet and finds herself face to face with a real life Romeo. Can Tessa concentrate on the play instead of focusing on Anthony? Will their on stage romance lead to an off stage one as well? Only time will tell, under the stage lights! This book is a light but fun read, made up of three YA contemporary romance novellas. All three are woven together, but can also be read as individuals!